In an effort to change the image of his new national government, Italian Prime Minister Matteo Renzi is auctioning off luxury cars from the fleets of various ministries. The increasing number of Maseratis, BMWs and Jaguars being used by government officials has long been a point of contention for Italians who have suffered economically as a result of the eurozone debt crisis. Renzi's move is seen as an attempt to improve the public image of his administration, as well as save on the operating and maintenance costs of the vehicles. The plan is to sell off 151 of the 60,000 government-owned-and-operated vehicles by April 16. Two of the most desired cars at auction were a 2009 BMW 525d and a 2007 Alfa Romeo 166. However, bidding has yet to start on what are perhaps two of the most valuable cars available – a pair of Jaguars from the Justice Ministry. The cars on auction are not nearly enough to make any significant reduction in Italy's 2 trillion euro debt, leading many to believe the move is more about reputation than economics. The luxury cars have created a negative image for the government, a symbol of the excess that government officials enjoy despite the country's economic downturn. The disillusionment with the political situation manifested itself in the rise of the Five Star Movement, led by populist activist Beppe Grillo. The political party is characterized by its denouncement of the bureaucracies and party politics of the current Italian system in favor of leveraging the power of the Internet to create a more direct democracy. The message of the Five Star Movement resonated with voters in 2013, leading the party to win approximately a quarter of the vote. 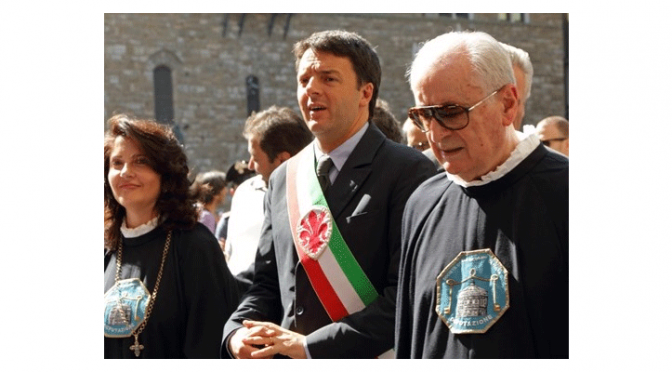 Auctioning off government vehicles in order to appear more populist is not new to Renzi – he did so previously as the Mayor of Florence. Whether or not such action will achieve its desired ends remains to be seen. In the meantime, car collectors have the opportunity to get their hands on a unique addition to their own personal fleets. That is, of course, provided they can get to Rome to pick up the vehicles – a stipulation of the current auction. 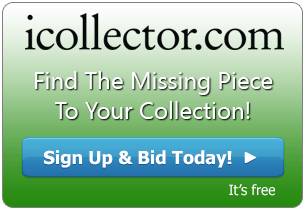 Those who prefer to have their collectibles sent to them can use iCollector to browse the antiques and collectibles of many international auctions and place their absentee bids, all from their own personal computers.